Captain Joe has been fishing the waters of Louisiana for decades! He knows how to hunt down the reds and specks with the best of them. 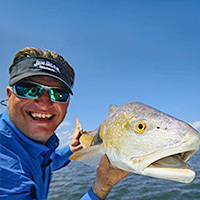 He is a member of the Bayou Charters fishing team and is an avid user of the VersaMaxx Hybrid and Oval corks for years. Captain Greg is as familiar with the waterways of Delacroix and Hopedale as any of the best guides are. He fishes almost on a daily basis hauling in limits of Reds and Specks at will. He is a prominent user of the VersaMaxx Hybrid and Bolt corks. He is also a member of the Bayou Charters fishing team. The best hang with the best! Captain Elliot is a frequent flyer throughout the marshes of Louisiana but especially throughout Delacroix and Hopedale. He is the owner and founder of Inshore Rip Charters. Elliot is a consistent user of the VersaMaxx Bolt and Hybrid corks which help him fill the boxes for his charter customers. If you want some arm testing action, let Capt. Elliot put you on the big ones! He is a proven guide many times over. Founder of the Marsh Man Masson You Tube channel. Todd is a well known figure throughout the Louisiana marshes, Todd is constantly chasing his favorite, specks, but will gladly take the reds and bass! A strong user of the VersaMaxx Bolt corks, Todd has proven their durability and success on many of his Marsh Man Masson videos on his Youtube channel, check it out you won't regret it. Nick is a frequent fisherman of coastal Louisiana waters. 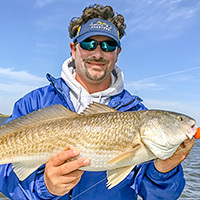 He has and continues to fish several redfish tournaments. He uses the VersaMaxx Bolt lineup of corks when chasing down redfish in the right conditions. David has been fishing since he could walk! 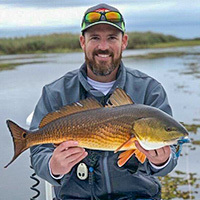 He is an avid fisherman who covers lots of area from the marshes of Delacroix and Hopedale all the way to the upper reaches of Lake Pontchartrain. He mostly used the VersaMaxx Bolt lineup but will work with the Ovals and Hybrids too. Fishes frequently in the marshes of Lafourche and Terrebonne parishes. Derek takes his 22' Express boat to places many of us may never see chasing them spotted tails with his his Bolt cork setup. An avid saltwater fisherman throughout south Louisiana. A frequent participant in redfish tournaments like Tito's and IFA. Mike polishes his skills constantly, always working to be a top notch angler. Mike uses the VersaMaxx Bolt to seek out the Reds frequently! Kyle is a kayak fishing enthusiast to say the least. He manages the group, Kayak fishing Texas. You can always find Kyle frequently chasing down redfish of that just right size! He often uses the VersaMaxx lineup of corks when the conditions dictate. The VersaMaxx Bolt is a real time saver for all Kayak fisherman because there is no need to retie leaders in order to change depths, the Bolt ends that problem forever!! Ron is the publisher and owner of the Saltwater Angler magazine and website, www.saltyangler.com. You can always find Ron fishing the waters around Corpus chasing down the big fat specks that the area is known for. Bobby is a very successful tournament angler. He has fished many over the past few years with great success. 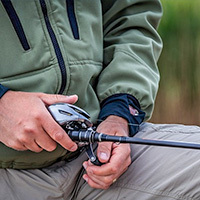 A true pro at seeking out redfish of that just right slot size, Bobby utilizes a variety of the VersaMaxx In-Line corks like the Hybrid, Ovals, and Coastal. Look for his name on the leader board at the next event you follow!! Grew up fishing the Mississippi and Alabama marshes. 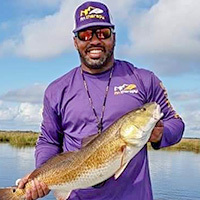 A former College World Series player, Trey is an avid fisherman nowadays always hunting down the reds and specks throughout the coastal marshes of Mississippi and Alabama. Trey is a frequent user of the VersaMaxx Bolt lineup of corks with great success! !